The rich heritage of Walter Marcyan, his dedication and unwavering belief in the benefits of strength and fitness training have left Marcy positioned with a clear vision of the future. 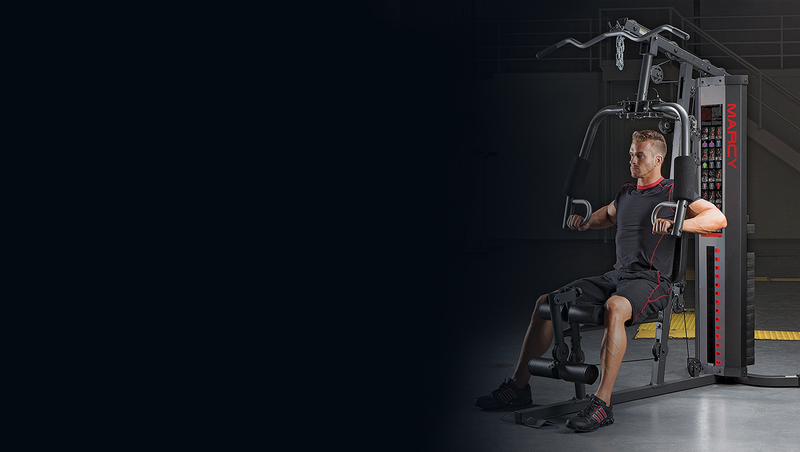 Founded by the late Dr Walter Marcyan, Marcy home gym equipment has always had a reputation for being one of the top name brands in the industry. Walter Marcyan began training with barbells and soon after won the central AAU Light Heavyweight Lifting Championship. In the early 1940’s, Walter Marcyan moved to Santa Monica, California where he began training at the newly established Muscle Beach: a famous training facility that still exists today and where many of the legendary pioneers of bodybuilding such as Jack LaLanne, Bill Pearl, and Arnold Schwarzenegger began their careers. In 1946, Walter Marcyan opened the first of seven strength training gymnasiums, House of Health, in the Los Angeles area. He was the first to offer personal trainers to his members and emphasized the importance of strength training to men, women and children. In the early 1950’s Walter began building his own strength training equipment for his gyms in Los Angeles. In 1959, Walter Marcyan founded Marcy Gymnasium Equipment Company. Walter Marcyan believed that everyone should have the opportunity and the knowledge to exercise at home with their own, professional grade equipment. Walter Marcyan was an innovator and a visionary. His patented designs were years ahead of their time and still widely used in commercial and home applications today. by offering new and innovative products to consumers worldwide.